I sincerely thank you for visiting our website. 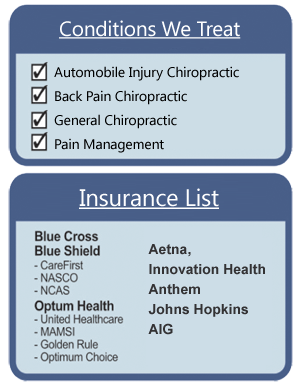 Our Chiropractic clinic specializes in automobile accident injuries. Our spine support and maintain the balance of the body; moreover, it contains and protects the spinal cord which is an extension of the brain to the rest of the body's organ systems. Therefore, it has an important function to support our weight and transmit vital information. At our facility, each doctor will carefully diagnose each individual patient and come up with a treatment plan that is specific to that patient's needs. We focus on finding the optimal spinal alignment of the patient and treat the surrounding muscles, ligaments, and tendons to facilitate the recovery from automobile accidents injuries. With our extensive knowledge in treating automobile accident injuries, we will always give our best efforts to help you regain your health and maximize your quality of life.